Caption: Home Farm boasts over 400 sheep, cattle, pigs, poultry and goats. A range of fun activities and events are set to be held throughout half term week at Temple Newsam estate and farm. The fun begins on Saturday 24 May, as local craftspeople will be displaying and selling a variety of their wares until Monday 26 May as part of a Phoenix Crafts event in the Stable Courtyard, while kids can try their hand at making their own creations with a felt-maker down in the farm. 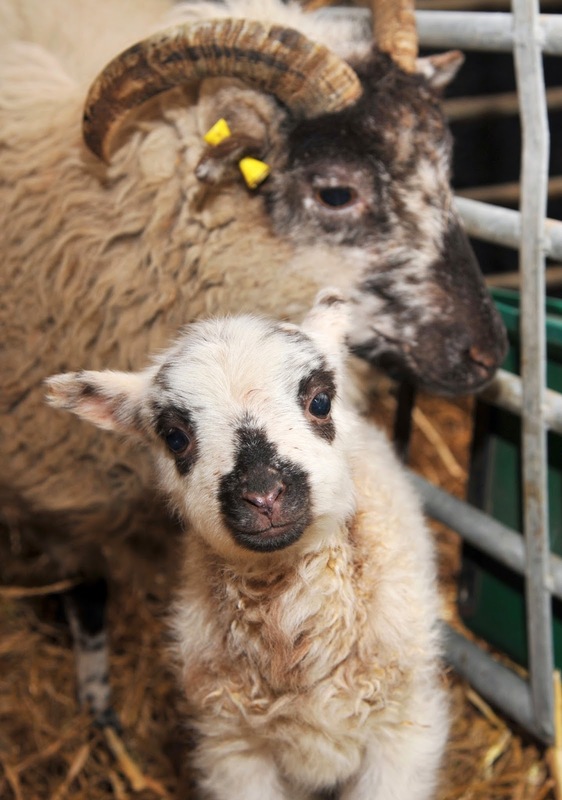 On Sunday 25 May, a calligrapher will be available to keep the youngsters entertained, and in what is always a great occasion, Home Farm which is based on the Temple Newsam estate, is all set to host its 10th annual Rare Breeds open day. Including sheep from the York Rare Breeds support group, a beautiful Dartmoor pony and some feisty geese and their goslings, this is a fantastic opportunity to learn more about the work which is done to support the preservation of rare breeds. This month Home Farm welcomed a new male donkey foal to its numbers, and not only can visitors see how he is progressing, they can also submit their suggestions for a name before the competition closes at the end of May. For the green fingered, both young and old, the Walled Garden on Monday 26 May will be holding a unique sale of plants from the National Collection of Aster Novi Belgi (Michaelmas Daisies) from 11am to 2pm. The collection is being moved onto the famous herbaceous borders of the Walled Gardens, which has meant some stocks of named varieties have been released. Visitors are invited to come armed with a carrier bag and trowel, and a gardener will also be available to offer both information and advice. Vegetable growing is also set to make a comeback in the Walled Garden after a 100 year absence, and on Wednesday 28 May, youngsters can pop down to plant a pumpkin to take home or grow for Halloween. Vegetables will be available for planting on the day to grow in the garden. Once grown, they will be sold on site from the Tea Room and Mrs Pawson’s shop. The shop which is a big hit with visitors, sells an amazing array of local produce including jams, pickles beer, bread and as part of English Wine Week, a bottle of Leventhrope Vinyard from one of Home Farm’s closest neighbours can also be purchased. If the weather is fine, two barbeques offering fresh local produce from the farm will also be held on Sunday 25 and Thursday 29 May. "With half term coming up, the Temple Newsam estate really is the perfect place to keep all the family entertained. Temple Newsam is a great place to take the family for half term with something for everyone including plenty of open space to explore, play and picnic. The Stable Courtyard Tea Room is open daily serving light meals and snacks, while Mrs Pawson’s Shop also in the stable courtyard is a great place to buy Yorkshire produce. Home Farm offers the opportunity to explore life on a real working farm and meet some extraordinary characters. Over 400 sheep, cattle, pigs, poultry and goats are at Temple Newsam, and there is also the chance to enjoy traditional crafts or take part in demonstrations such as butter making and blacksmithing! Home Farm is open 10am until 5pm (summer hours) Tuesday to Sunday and Bank Holiday Monday inclusive. Last entry is 45 minutes before closing.